If It's Hip, It's Here (Archives): Geek Chic. 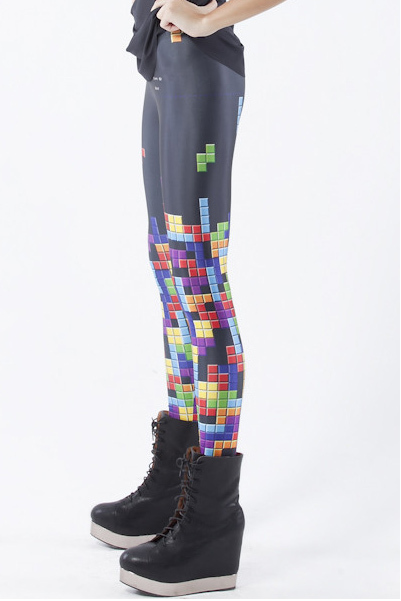 Tetris Swimsuit and Tetris Leggings for Retro Gaming Fans. Geek Chic. 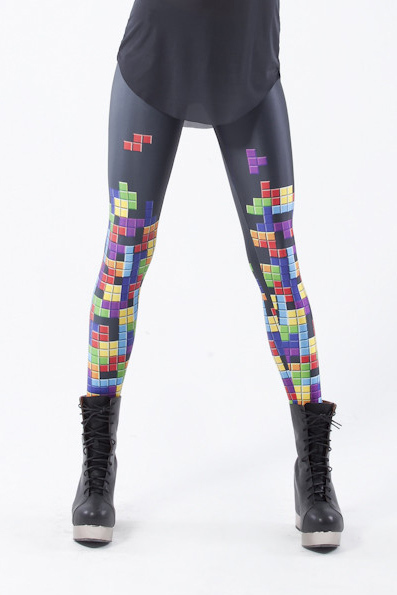 Tetris Swimsuit and Tetris Leggings for Retro Gaming Fans. I introduced you to Black Milk Clothing of Australia and their fabulous leggings and swimsuits a ways back. Since then, they continue to create more geek-chic designs like this "Retro Gamer" pattern they've put on a one piece swimsuit and leggings. 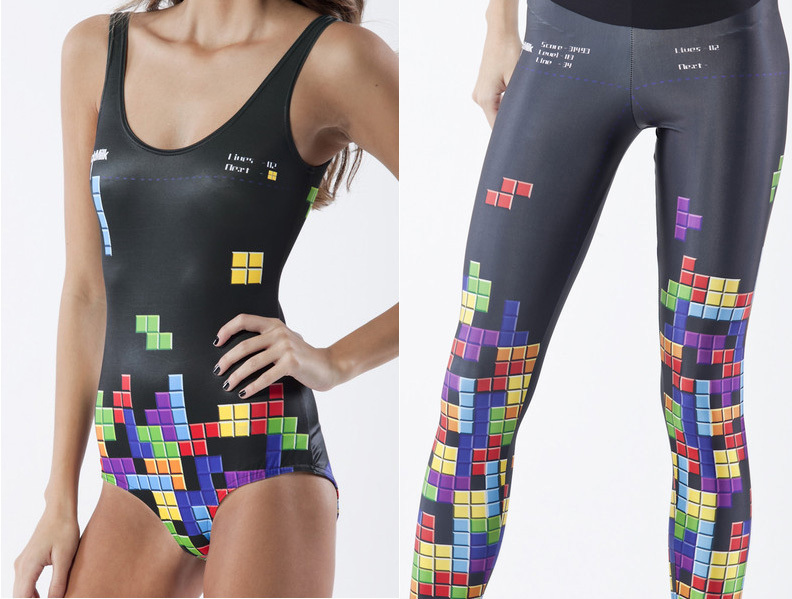 Inspired by the popular classic video game Tetris, the swimsuit and leggings are limited editions. Designed by James Lillis and made of Polyester/Nylon/LYCRA®, the one piece swimsuit is available for purchase here. Designed by James Lillis and made of Polyester/Spandex, the leggings are presently sold out, but they are busy making more. What do you wear underneath the bathing suit since the material is so thin? You see everything!